Product Description Perfect sleeping comfort all year roundHautpf Legend and pure thanks to Zinc.As the first manufacturer, we use the innovative smartcel senitive Natural Fibre with built-in Zinc for the inner lining of the sleeping bag Bubou sensitive baby sleeping bag. Zinc is a Jahrhundertealtes, where the immune system and thanks to its anti-bacterial effect healing of wounds. By the fibres has been constantly Zinc abgeben,, they help the baby's skin in the regeneration and cell regeneration. This effect is even more important as zinc cannot be stored by the body and therefore needs to be from the outside brought on a regular basis. 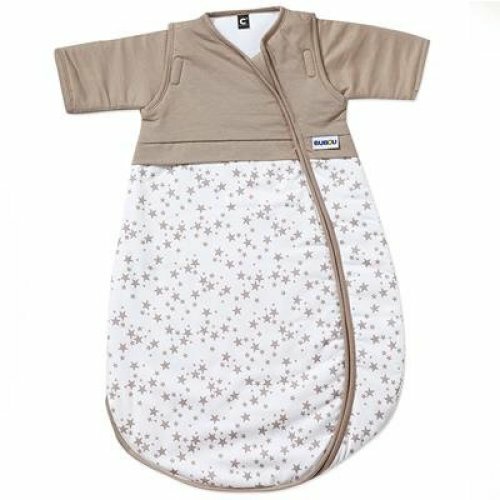 Bubou sleeping bag sensitive protects and cares for your child as you sleep.